Benefits: Improvement of facial lines, texture, skin laxity, deep pigment, and overall skin quality. Up to 30% more collagen production compared to Erbium Laser. Downtime for recovery will be 3-7 days depending on the level of treatment desired. Fine lines around the eyes, mouth, full face, neck, and chest. Face, neck, and chest skin laxity. Acne Scars. Melasma (Hormone induced pigment). CO2 fractional laser skin resurfacing has become the gold standard in skin rejuvenation. According to recent studies presented at the American Society of Laser Medicine and Surgery at the University of California Irvine, the CO2 laser produces 30% more collagen than the Erbium Laser, resulting in an absolute better result. The term “fractional” refers to the fact that only a fraction of the skin is treated by producing columns of heat, and leaving the surrounding dermal tissue intact. This result is a safer treatment, and less downtime than the old non-fractional CO2 techniques used 15 yrs ago. How do CO2 fractional lasers differ from one another? At the risk of presenting more information that you want or need, we would like to give you a brief understanding of the science behind the most evolved form of CO2 Fractional Laser Skin Resurfacing. All fractional CO2 lasers have the same wavelength of laser light, 10,600nm. This wavelength provides the ultimate in deep heating to stimulate collagen production and stimulate new skin cell growth. The difference in the fractional CO2 lasers lie in the software that allows the fine tuning of the laser light. There are 3 components to the fractional CO2 laser: the power, the pitch, and the dwell time. The power is the number of watts of laser light produced with each pulse. The more power, the more collagen production, but also the higher the risk of complication. The Pitch is the density of spots (columns) produced with each pulse, that is, the space between each spot. The closer the spots, the more total power is delivered, the further away the spots, the less downtime is needed to recover. The 3rd parameter is the dwell time, which is the amount of time taken for each pulse to be delivered. The longer the dwell time, the more heat is delivered to the deep skin, and the greater the result. As one can see, the ability to adjust all of these parameters results in an art to the technique. The parameters must be adjusted for skin types, areas to be treated, and desired downtime. Many fractional CO2 lasers have a limited ability to adjust the parameters necessary to fine tune treatments. The Deka DOT CO2 fractional laser, offered at Essence Laser & Wellness, has the most advanced software technology on the market to provide the ability to fine tune all of the above parameters to give the most effective results, in a safe environment, and minimal downtime. Treatments tuned down for lesser recovery time (micro-ablative) may need several treatment sessions. Only one session with the higher (5-7 day) downtime (ablative) may be necessary, and, in most cases, the treatment with the greater downtime will give the best results. What is the difference between non-ablative, micro-ablative, and ablative fractional laser skin resurfacing? Ablation refers to the disruption of the surface of the skin. The greater the ablation, the longer the downtime, but the better the result. Non-ablative has no downtime and is done by using an Erbium laser, see Erbium Fractional Laser Skin Resurfacingunder the Services tab. 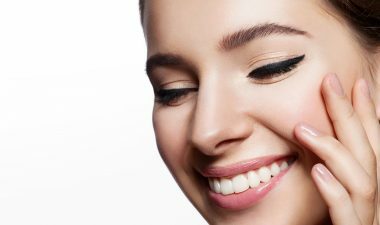 The “beauty” of the Erbium non-ablative treatment is that one can return to work the next day with no downtime. CO2 fractional laser skin resurfacing is all ablative, but with the DOT laser we can adjust the settings to “micro-ablative” to decrease the downtime, but more sessions will be necessary to achieve the desired result. Call us for a complimentary consultation to discuss the best option for your skin type, lifestyle, and affordability. We are very excited to offer this new technology, and very much appreciate the opportunity to share it with you.